Everett Eugene Elswick, 89 years of age of Big Rock, VA, passed away Friday, November 30, 2018 at his home surrounded by his family. Born October 4, 1929 in Buchanan County, VA, he was the son of the late Ausbin and Florence Taylor Elswick. He was of the Church of Christ faith and a member of the Big Rock Church of Christ. He enjoyed hunting, fishing, reading, going to church and spending time with his family. A loving husband, father, grandfather, uncle and friend. In addition to his parents, he was preceded in death by two sisters, Eunice (Kinnard) Potter and Alpha (Berman) Kent; and two nephews, Gerald Kent and James Kent. Survivors include his loving wife of fifty-nine years, Helen Ruth Ratliff Elswick of Big Rock, VA; one daughter, Connie (James) Deel of Lenoir, NC; one grandson, Jamie Deel of Denver CO; two nieces, Linda (Arnie) Rakes and GeGe (Burton) Gerken both of Defiance, OH; and two nephews, Gene (Thelma) Potter of Big Rock, VA and Donnie (Brenda) Potter of Richlands, VA.
Funeral service for Everett Eugene Elswick will be held at the Big Rock Church of Christ in Big Rock, VA, Tuesday, December 4, 2018 at 1:00 p.m. with Pastor Terry Cantrell officiating. Burial will follow in the Mountain Valley Memorial Park in Big Rock, VA. The family will receive friends at the Big Rock Church of Christ, Monday, December 3, 2018 after 6:00 p.m. where evening service will be held at 7:00 p.m. 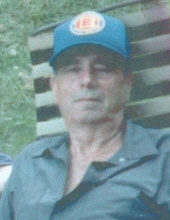 The family of Everett Eugene Elswick have entrusted the care of their loved one to Shortridge-Ramey Funeral Home of Grundy, VA.
Evening services will begin at 7pm. "Email Address" would like to share the life celebration of Everett Eugene Elswick. Click on the "link" to go to share a favorite memory or leave a condolence message for the family.